Aloha! My name is Marley Kauʻi Samio. I began my journey at Kamehameha in the seventh grade as a boarder from the Westside of the beautiful Garden Isle. My hobbies include drawing, writing, yoga, working out, and spending time with family and friends. 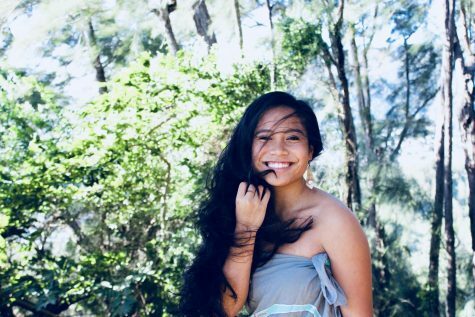 Since the age of three, my passion for hula and Tahitian has survived through dancing with Hawaiian Ensemble (this being my third year) and through Ori Uvira, my Tahitian group on Kauaʻi. As a senior, I chose to branch out from my comfort zone and join Ka Mōʻi as one of their news reporters in hopes to further advance my journalistic writing. I also plan on using this opportunity as a reporter to embrace the essence of my final year in highschool.